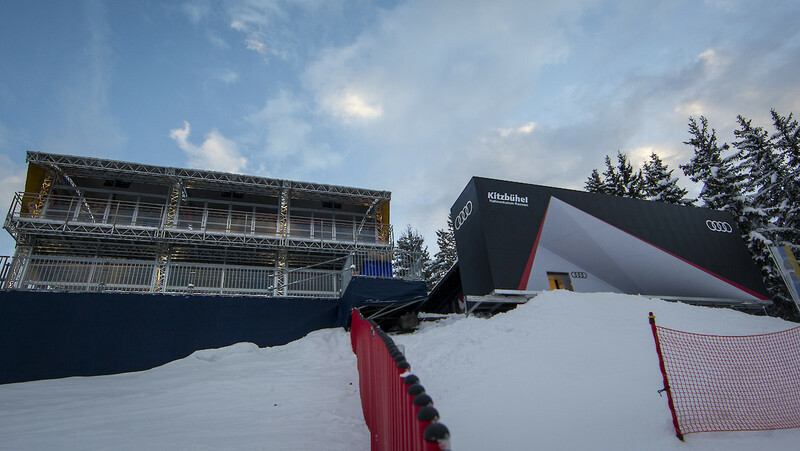 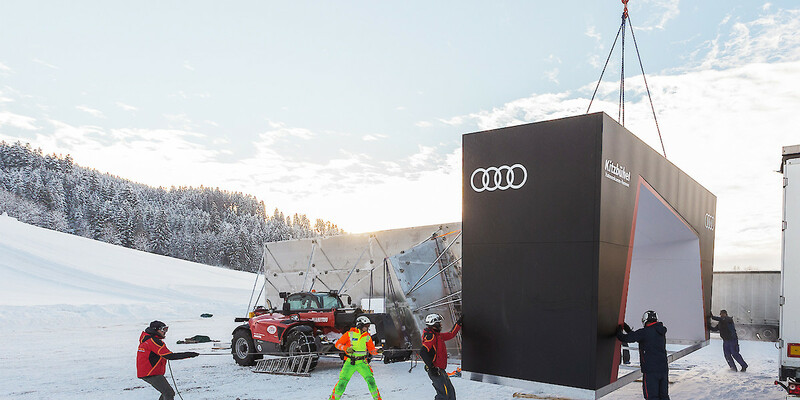 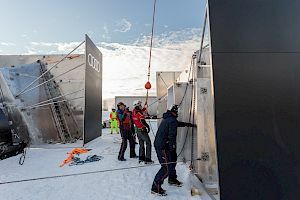 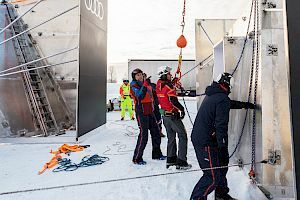 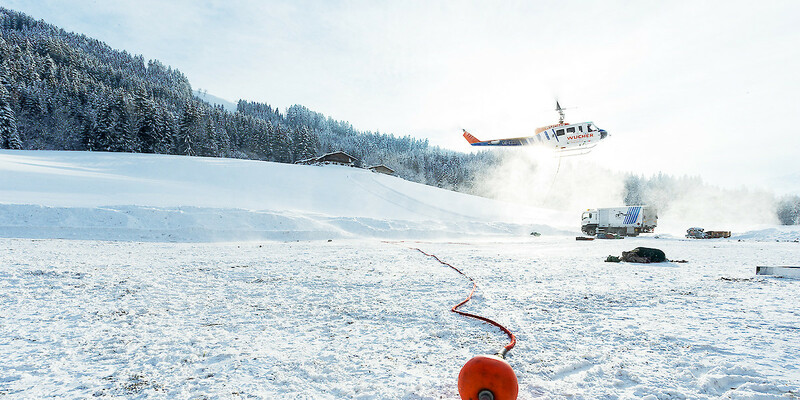 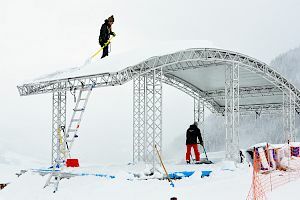 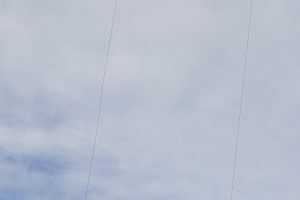 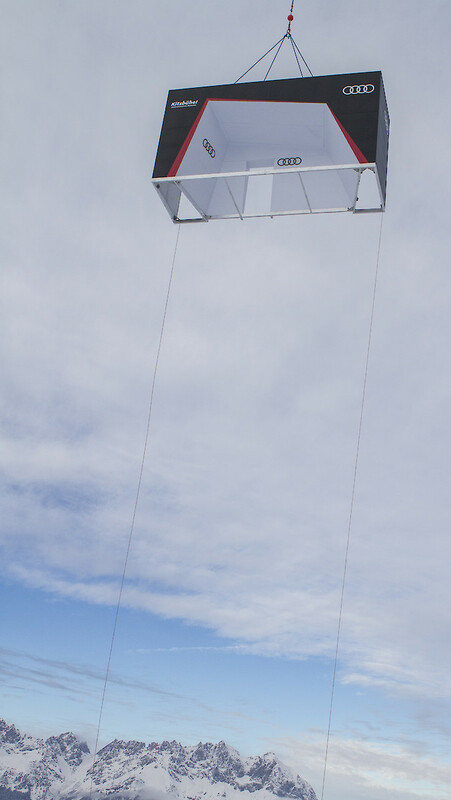 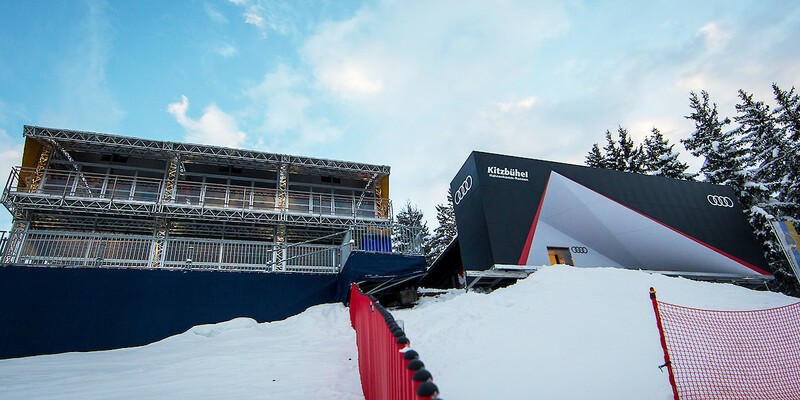 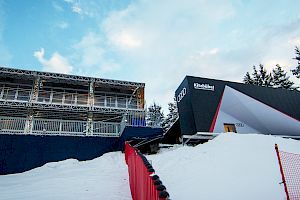 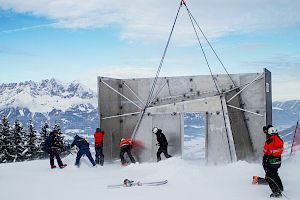 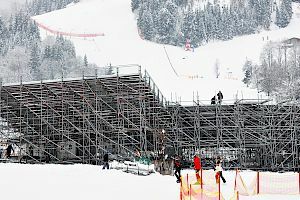 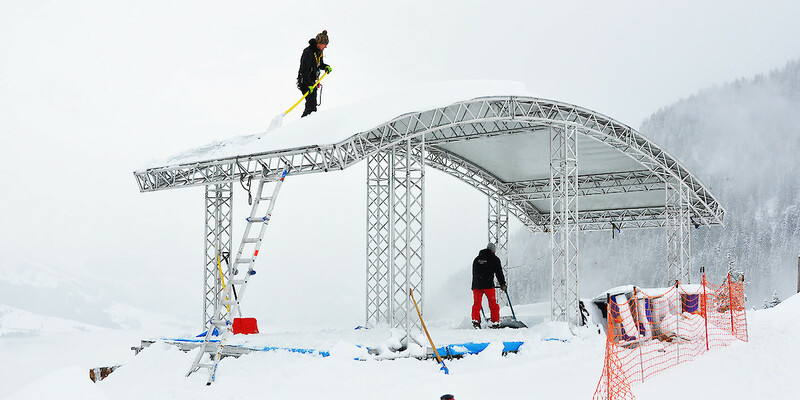 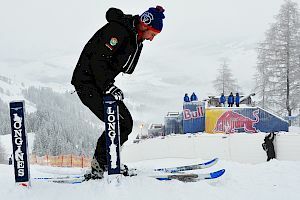 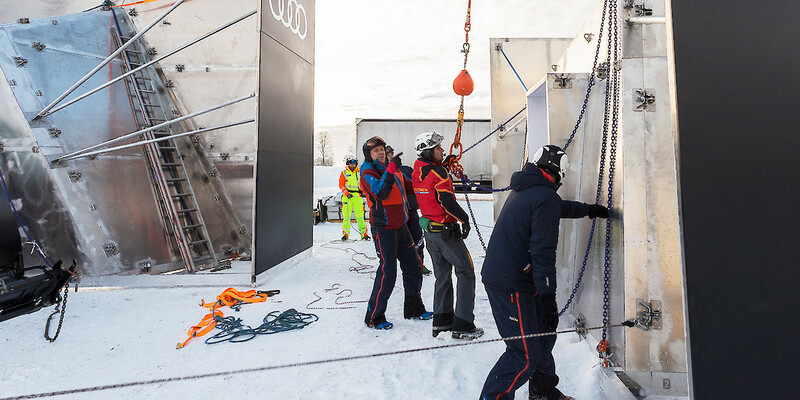 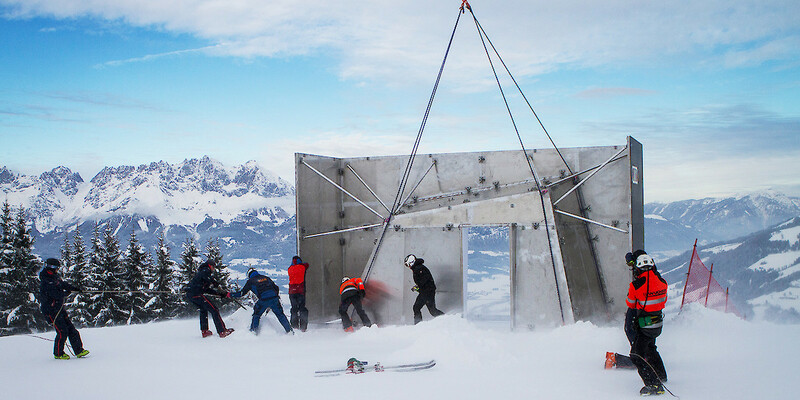 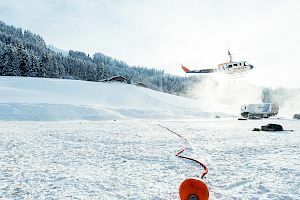 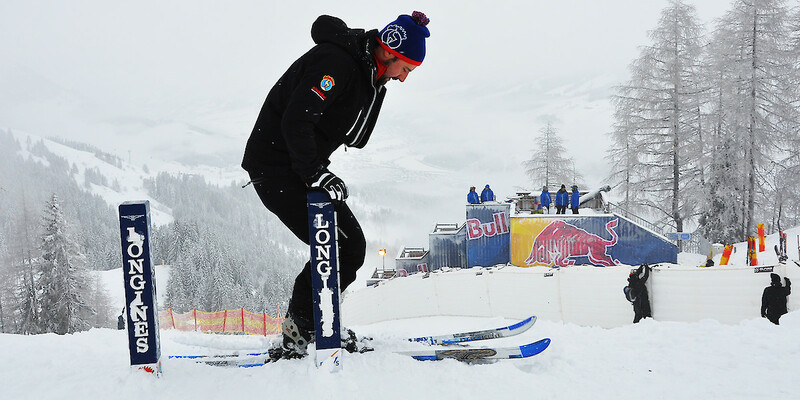 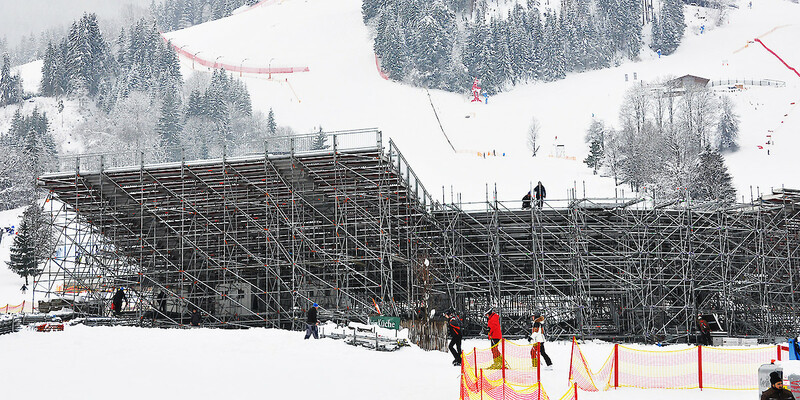 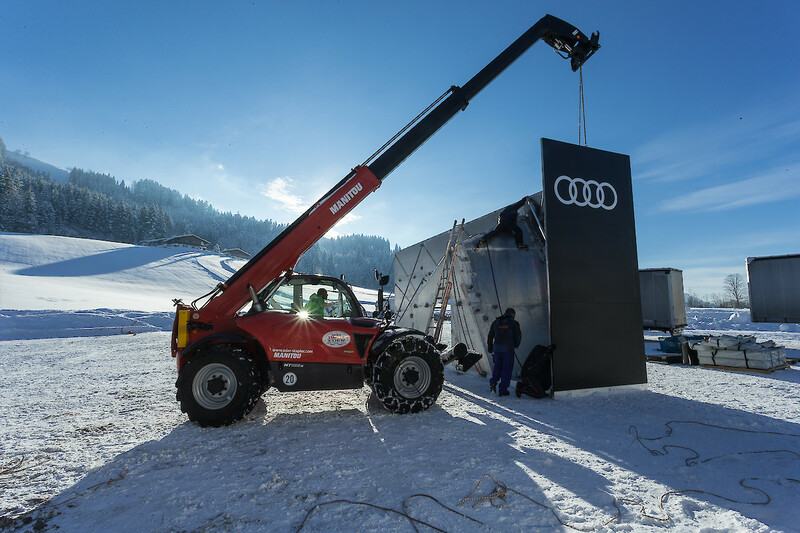 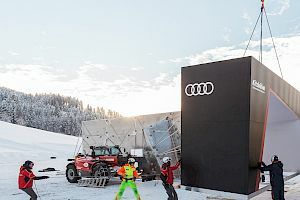 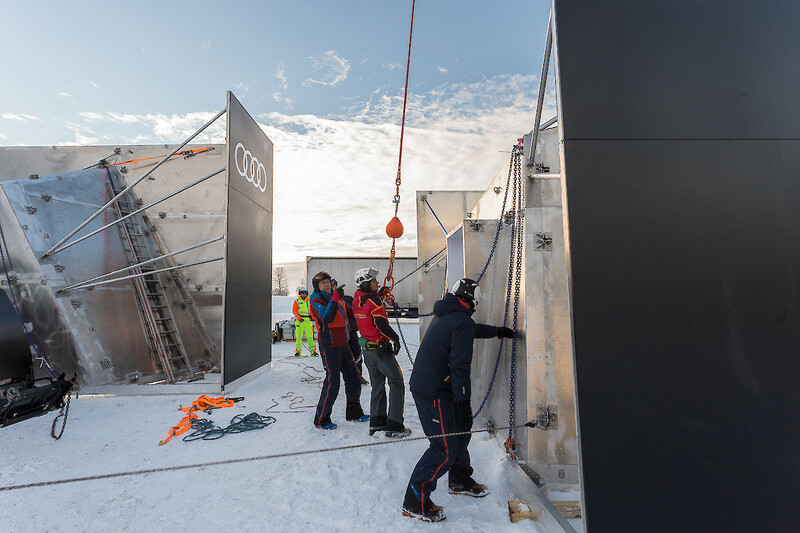 In the last few days a lot has happened on the race tracks at the Hahnenkamm. 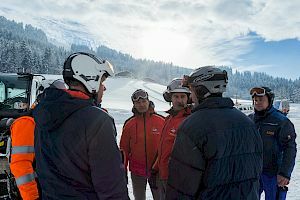 Tirelessly and with full commitment all teams are working hand in hand. 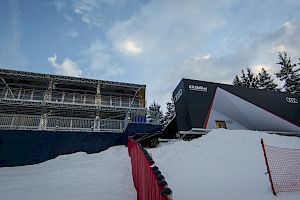 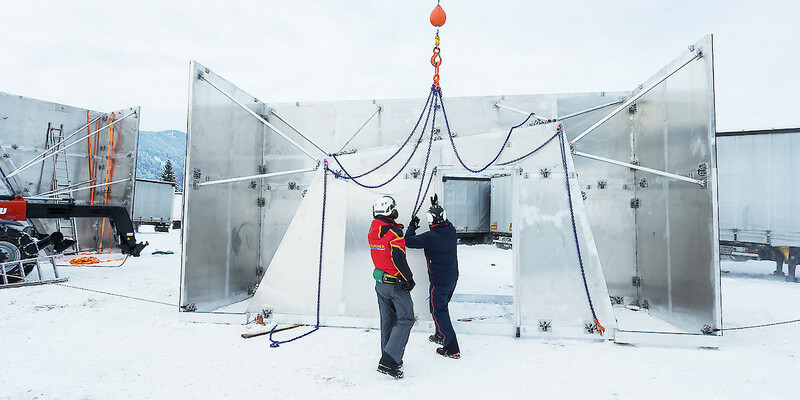 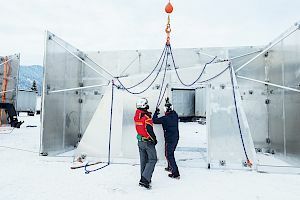 The construction work of the start house could be finished. 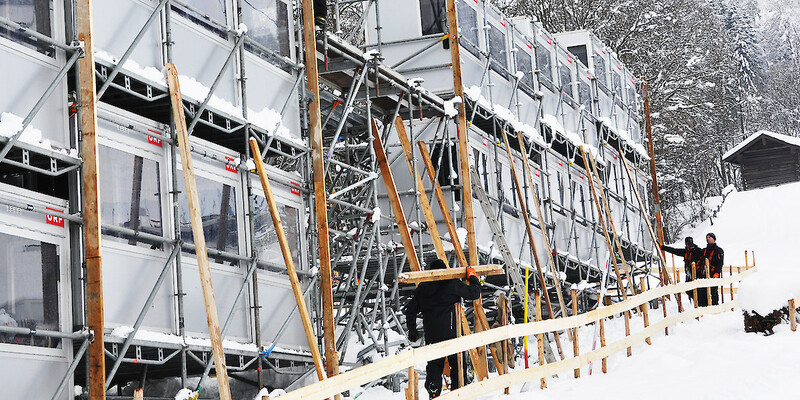 The video screen as well as the TV-compounds and the timekeeping are currently being set up. 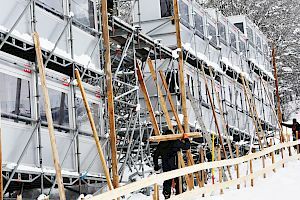 The European Cup start is slowly taking shape.